Silver Poplar wood has a reddish-brown colored heartwood with streaks of pale yellow and dark brown. It is highly figured and will yield a beautiful finished turning piece. This turning wood is easy to work with and sands well. 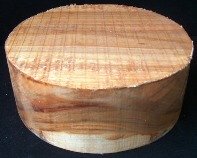 SILVER POPLAR BOWL BLANKS ARE SOLD OUT. 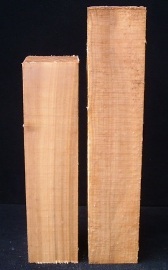 SILVER POPLAR SPINDLE BLANKS ARE SOLD OUT.